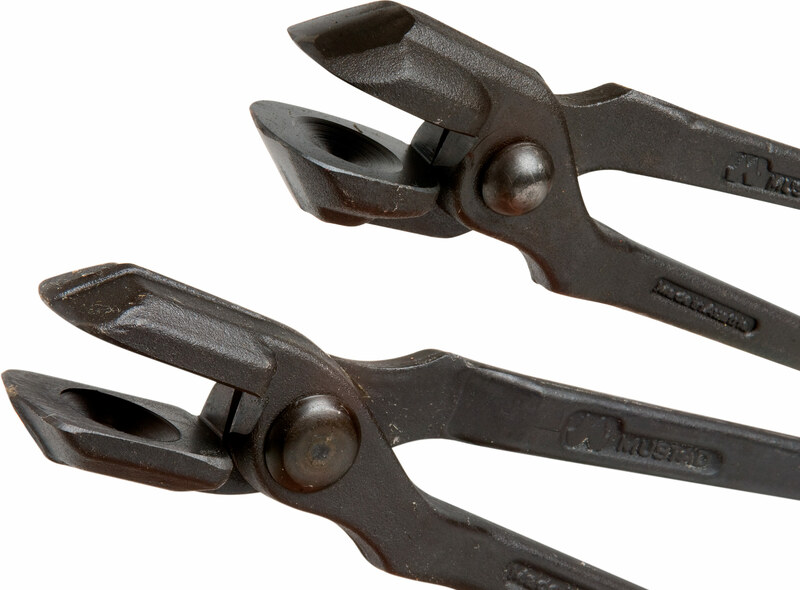 Mustad Forging Tongs are available in five models. Four of these exactly fit to the bar density of the material. The 6mm forging tong is mostly used for racing and sliding horseshoes. The 8mm and 10mm tongs are fitting to the common riding shoes of their according dimensions. The 12mm type is mostly used for heavy draft shoes. These forgings tongs are also very popular in competitions, because their extreme heat resistant material allows a long term exertion of power when forging with higher temperatures. The fifth model, the Universal forging tong, is used for materials of different densities.